Artificial Intelligence, Image Recognition, Technology and more . . . Artificial intelligence (A.I.) is transforming the work of realtors. Over the years, realtors have had to adapt to subtle changes in consumers’ needs. Though many still utilize basic Internet-based tools for business, some have embraced A.I.-powered solutions that enhance customer service, improve efficiency, and reduce operational costs. All sorts of tools have popped up over the years, many of which are reshaping how realtors conduct business. Listed below are five of the best A.I. tools realtors can get today. kvCore is an all-in-one CRM platform with A.I. capabilities. The system is designed for lead generation, lead nurturing, customer management, and more. Through its mobile responsive platform, Mobile+, real estate agents can make calls and do business while they are on the go. If you’ve got a lot on your plate, A.I. features such as the autodialer, lead response, and text messaging should lighten your workload. With this service, real estate agents can gain better control over their online lead generation efforts. Lead follow-up is hard for some agents, but with artificial intelligence, that doesn’t have to be the case. By employing Structurely’s chatbots, the system will handle all follow-ups for you at a rate that no human can match. Using their personalized technology, you can nurture and move leads through the funnel effortlessly. 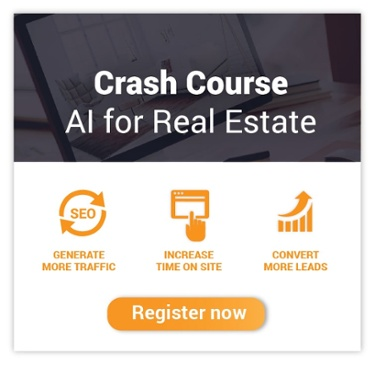 This A.I.-powered platform helps realtors become more productive without having to put in the extra hours. Growbots is yet another all-in-one solution that allows agents to find and reach new customers faster. The value that one can get here is operational efficiency, as the platform permits users to generate leads, be it sales or marketing, and reach hundreds of prospects in a matter of minutes. With Growbots, you can skip the draining and laborious process of manual prospecting. Node is the world’s first A.I.-powered discovery engine. Their A.I. tech allows its users to gain relevant details about people, as well as companies, so companies can have a better understanding of who they should be engaging with and why they should be engaging with them. The platform has more than half a billion profiles in its system. Each one comes with valuable insights that you can use to determine the best time to reach out to the right people. Plus, they can offer appropriate message templates, which should help you speed up that revenue growth. This subscription-only program is available to any LinkedIn user. It provides its subscribers with the opportunity to tap into LinkedIn’s social platform. More than 456 million professionals use the social media channel, so it gives real estate agents an edge in terms of lead generation. Though there is no mention of A.I. in LinkedIn’s marketing for the Sales Navigator, many believe that such technologies are being utilized to help consumers identify their prospects and build their lead list. These five tools are merely a portion of the A.I. tech that has found its way into the real estate industry. The shift may seem daunting, but it is absolutely necessary. If you don’t want to use any of these tools today, remember that other realtors and companies have already integrated this technology into their businesses and are already reaping its benefits. Consider an A.I. edge to stay competitive in this ever-changing landscape.